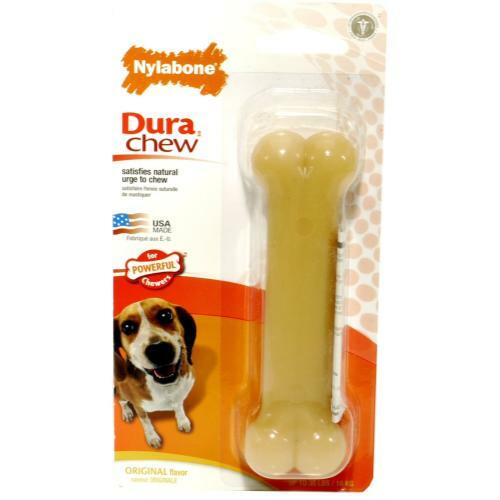 The Nylabone Durable range was designed for the most powerful chewers. These bones will last for a while. While having fun chewing them your dog is also cleaning his teeth.